Air Cadets from local 832 "Twillick" Squadron turn out for "Tag Day"
Canaan Road used for Marijuana dump? Is Rockland getting another newspaper? Rockland's TV22 website is up and running! Mayor-elect sells interests in LLG Development Inc.
(Cheney, Wednesday, January 30, 2013) Boil your water before you drink it if you live in the village of Cheney. The City of Clarence-Rockland issued a 48-hour advisory on Wednesday after a water main break. Residents (about 40 homes affected) are advised to boil tap water for one minute. If tap water is discoloured, let it run until it’s clear. A second notice will be issued when the boil water advisory is lifted. To check the status of the advisory, visit the Clarence-Rockland website. UPDATE: The boil water advisory has been lifted. For additional information, please call Jacques Breen, Ontario Clean Water Agency (OCWA) at 613-229-8050 or Denis Longpré, Environment Manager, Infrastructure and Technical Services at 613-446-6022 ext. 2299. Nicholas Vachon is carried from church following his funeral on Saturday, Dec. 22. (Saturday, December 22, 2012) The Volunteer Firefighter killed last week near Rockland was laid to rest Saturday. 31-year-old Nicholas Vachon was struck by a car on La ndry Street while walking home from a Christmas party. Ottawa firefighters helped staff detachments in Clarence-Rockland so that Vachon’s colleagues could pay their respects at the Holy Trinity Church according to the Ottawa Citizen. OPP said charges have not been laid. They have confirmed neither speed nor alcohol were factors in Vachon’s death. "Volunteer firefighter Nicholas Vachon remembered for generosity, dedication"
Read our initital coverage below. night while walking home from Christmas party at the Clarence Creek Arena. (Sunday, December 16, 2012) Last evening, Nicholas Vachon, 31, was struck by a car on L andry Street near Baseline Road after leaving a party at Clarence Creek Arena, where he'd been celebrating with his co-workers, about 150 Clarence-Rockland municipal employees and their guests. The Rockland resident was a proud volunteer member of the Clarence-Rockland Fire Department. “Nicholas was a terrific person,” his younger sister, Marie-Claude Vachon, said Sunday. Read the story from the Ottawa Citizen, here. Read the story from the Ottawa Sun, here. Read the story from the Ottawa CBC, here. 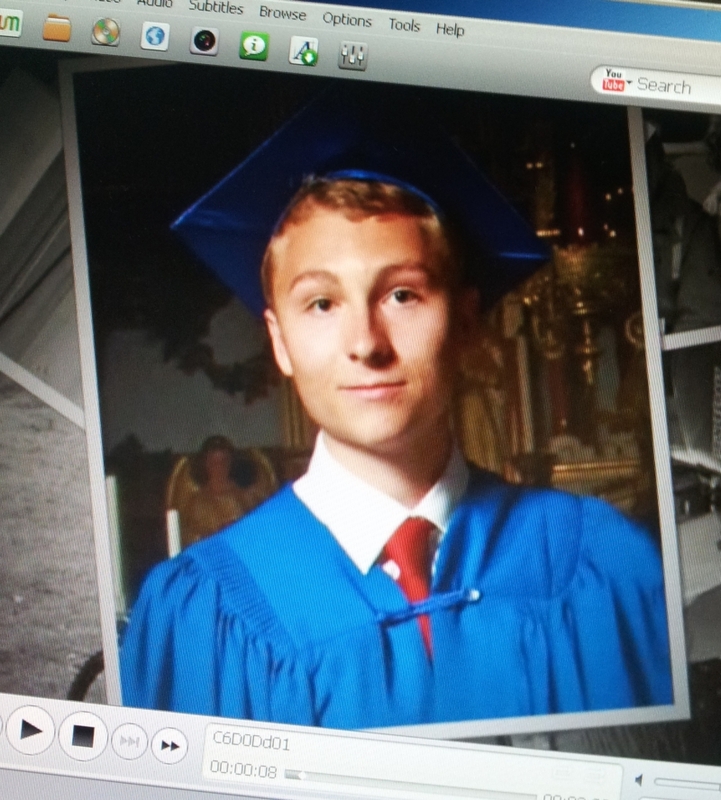 Nicholas' obituary is posted on the Brunet Funeral Home website where you can also send your condolences. 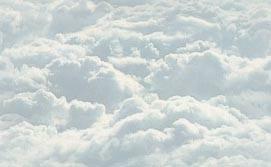 A funeral service will be held at Très-Sainte-Trinité Chruch, 2178 Laurier, Rockland, on Saturday December 22nd, 2012 at 11 a.m. You may express your condolences to the family on Friday December 21th, from 2-4 and 7-9 p.m.
André Perras, Members of the Environment Advisory Committee. (Photo - City of C-R). (Rockland - November 6, 2012) Officials from the City of Clarence-Rockland along with members of the Clarence-Rockland Environmental Society (CRES) have inaugurated the shoreline restoration work at the Clarence Peninsula Natural Park on Onésime Guibord Road, just east of Clarence Point on old Highway 17. The project, a priority for CRES, concluded after many months of hard work. They received the support of Municipal Council, the Community Services and the Clarence-Rockland Environmental Advisory Committee. Municipal Council allocated a budget of $50,000 towards the project. CRES also received an additional financial contribution of $25,000 with the Shell Canada's Fuelling Change program, where the population had to vote for their favorite environmental project. Aqua-Berge Inc. of Sherbrooke obtained the contract for the conceptual plans and specifications as well as the work supervision, while Phase 1 of the project (75 meters of shoreline) was executed by Rockland's Centennial Construction along with the City of Clarence-Rockland and Claude Vachon. What to do with the Jean-Marc Lalonde Arena? forum to discuss the future of the Jean-Marc Lalonde Arena. ( Rockland, Thursday, Sept. 20, 2012) A healthy turnout of local residents, outside visitors and interested stakeholders met last evening to participate in a public consultation held in the Clarence-Rockland council chambers. They came to express their comments on what should be done with the vacant Jean-Marc Lalonde Area, made dormant with the opening of the Canadian International Hockey Academy. The program started with and introduction by Thérèse Lefaivre, wearing her hat as the Community Services Director. She set out the evening objective and outlined the Council's mandate, chiefly that whatever the arena will be used for, it must be self-sufficient with not impact on tax payers. She said that two proposals have already been submitted, one from the Gloucester Rangers Junior "A" hockey team to make the arena their home base, and a second proposal from the Clarence-Rockland United Soccer Club to turn the ice surface into a sodded indoor playing field. Pierre Boucher, Manager of Recreational Facilities, then gave brief history of the arena, which was built about 40 years ago. It is still in good condition, has been appraised at $5.6 million in value, and while it has been well maintained over the years, it will need perhaps up to $1 million to be brought up to par. Before she turned the floor over to interested parties to express their comments, Lefaivre said that any further proposals/comments would have to be submitted to the City by October 15, in order for staff to have time to present them before Council at their November 13 regular meeting. (Rockland, Monday, September 10, 2012) If you are visiting the Clarence Creek arena this season, you will want to stop in at the canteen. Why? 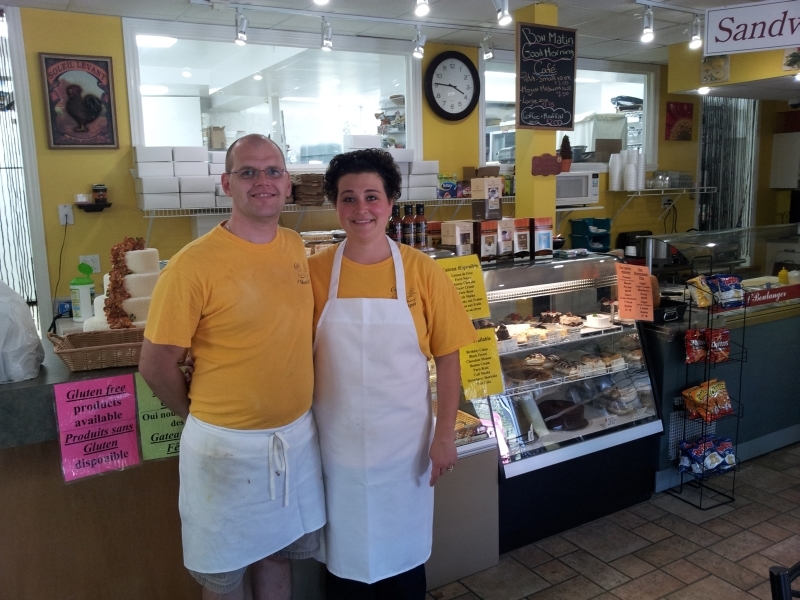 Because the couple behind Chez l’Boulanger, the bread making experts located at 1370 Laurier Street in Rockland, have just been given the go ahead by City Council to take over running the canteen for the next year. Julie Charbonneau and Sébastien Genest are already developing a reputation for fine breads and pastries. They offer a coffee and lunch bar, indoor and outdoor seating and a friendly, homespun atmosphere that is only superseded by the smell of fresh baking permeating the air. As their website says, "the bakery has also a wide selection of tarts, sandwiches, soups and prepared meals such as meat pies, patés (chicken or salmon) that you can eat on-site or for take-out." And for the health-conscious their baked products contain no preservatives and they offer gluten free products as well. "Originally from the Bourget and Hammond area, Sébastien and Julie decided to come back to the area because they wanted to raise their kids in a francophone environment. They found a perfect setting on Laurier Street to operate their business and watch their kids grow." Back to the canteen, Sébastien says that they will offer the usual food fare, hot dogs, poutine, snacks, but also a slant towards wholesome items like wraps, soups and chili. The canteen should be up and running by this weekend, with Sébastien at the kitchen. Their hours will be from 5:00 mp.m. to 9:30 p.m. Monday to Friday, and 7:30 a.m. to 9:30 p.m. Saturdays and weekends. 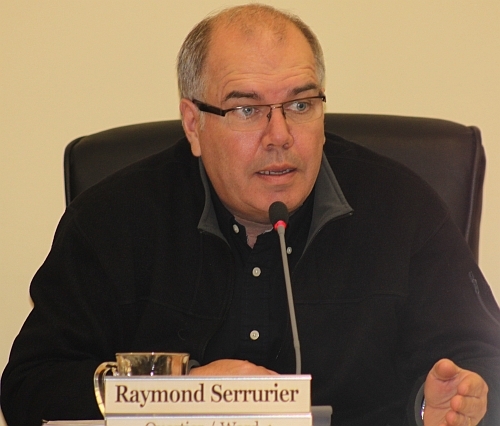 (Wednesday, August 29, 2012) Le Droit newspaper is reporting that Clarence-Rockland City Councillor Raymond Serrurier, the epitome of integrity and transparency for many supporters of the former council, faces a complaint of conflict of interest. Two former Serrurier rivals in the last municipal election have submitted a formal request to the Superior Court of Ontario alleging numerous instances of conflicts of interest allegedly committed by Surrurier since 2006. Jean-Claude Mariner and Jacques Archambault, the two defeated candidates claim that Serrurier repeatedly violated municipal laws regarding the awarding of contracts to the engineering consulting firm Levac Robichaud Leclerc Associates Ltd. of Rockland, which employs his son. Read the full (French) story here. "I would like to point out that even though the item (Item 15.7) was on the agenda of the meeting of August 13, it was tabled since Council had questions regarding the authority of the City not to grant this license. Council asked the City Administration to obtain a legal opinion on the matter and to come back to Council at the August 27 Special Meeting." Legally, we had no grounds to stop this business since it proposes to set up in a property zoned commercial. providing Nature Pro a business license as requested." We thank Councillor Félio for his diligence in following the Canaan Connexion and for pointing out our error in an email to the editor. As it happened the Canaan Connexion was unable to attend said council meeting, and only this week was able to follow the discussions from the August 13 meeting via the proceedings shown on local cable TVC-22. (Wednesday, August 29, 2012) In a series of two meetings, the Clarence-Rockland City Council dealt with a resolution permitting a business license application for an outdoor, hunting and fishing store, Pro Nature Rockland. Little did they know that it would create a controversy because of a neighbouring daycare center. Subsequently the CBC reported that "parents of children who attend (Tiny Hoppers) daycare... are up in arms as a hunting store that features guns is set to move in two doors down". Pro Nature Rockland, 2768 Laurier Street, a commercial retail establishment is a permitted use within the “General Commercial – Exception 12 (CG-12) Zone”; AND WHEREAS municipal by-laws do not regulate the sale of firearms and ammunition; BE IT RESOLVED THAT the municipal Council issue to Mr. Mathieu Lafleur and Mrs. Deana Lafleur a business license for a commercial retail establishment, Pro Nature Rockland, located at 2768 Laurier Street, without any special conditions. According to the CBC report, Pro Nature has not as yet replied to an interview request. The Centre collects used clothing at its drop bins and sells it locally to raise money for the food bank, raising $25,000 a year. This photo shows the location of the Help Centre at 2815 Chamberland Street. The Ottawa Clothing Donation bin can be seen as an inset in the photo. 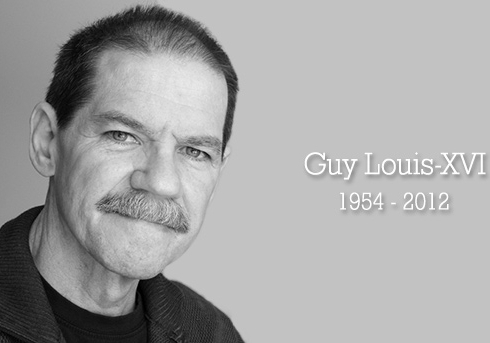 Guy Louis-XVI, the founder of make-up effects company FuseFX, died July 25 in Ottawa. He was 57; the cause was esophageal and stomach cancer. You can read the obituary and guest book here. Why were 11 vehicles required for such a small fire? Last week a small fire broke out behind the Rockland Variety Store. When the Clarence-Rockland Fire Department responded, they requested the aid of units from Clarence-Creek. Ottawa and Alfred-Plantagenet, 11 in all! Why so many for such a small fire? (Click on the picture to enlarge). According to Luc Chayer, Deputy Chief for the Rockland fire hall, it was a "small structure fire" in the backwalls and it was considered to be "accidental", but because of the close proximity and small gaps between businesses, the multi-habitants occupancy and the age of the buildings (without knowing the exact nature of the fire), all available resources were called and rather than cancel the call, if you happened by you would have seen the 11 vehicles. This photo will give you a better perspective of how close the buildings/businesses are to each other. (Photos - Patrick Meikle). (Rockland, July 16, 2012) UPDATE: Further to the news bulletin that we put out last week (below), when the Canaan Connexion visited the site of the fire at 488 Lalonde Street, we found that the property was sealed by police tape and a member of the OPP was guarding the scene. There was also a member of the Ontario Fire Marshal's Office (OFM) inspecting the place. It was evident that there had been more than just a garage fire as first reported. From the smoke-singed windows including one or two that had been blackened and broken, it appears that the contents of the home were also damaged. B ULLETIN: At 5:38 p.m. Sunday, July 8 a fire call was received for heavy smoke coming from the garage at 488 Lalonde Street in Rockland. Upon arrival heavy smoke was reported in the structure and a "Working Fire" was declared. On first report it was unknown if anyone was inside the structure or if there were any injuries. No other information is known at this time. We will report any news if/when available. (Photo taken from Google Maps). The City of Clarence-Rockland organized the Ottawa River Festival, held from July 6 to 8 at the du Moulin Park in Rockland as well as in several communities in the United Counties of Prescott and Russell. Did you attend? Don’t miss watching the performance and pleasure boats participating in the Poker Run. A major activity is also being added this year with the Rockland Ford Classic Poker Run. About 200 cars will follow a course on the Ottawa River banks. These activities will let the participants discover the river by water as well as by land. Back in June the City hosted a kick-off event at Du Moulin Park. Cheif Administrative Officer Pierre Tessier (left) acted as MC. Click here for a comprehensive listing. Click here or on picture to see the planned events. Read our initial coverage of the tragedy below. (Saturday, June 23, 2012) Regular readers of the Vision Newspaper may have noticed in the past few weeks a cosmetic chang e within the paper edition. Each news or feature item is titled within a solid bar (in corporate colours?) across the top of the page, with the headline immediately below. The byline and photo of the reporter is sometimes added and more colour has been introduced throughout the paper. The front cover picture alternates between the English and French language, keeping a long-standing tradition of highlighting the main news story in the language that will affect the greater number of readers, be they English or French. Up until this week, an interactive version of the paper was also made available to readers. The paper's corporate website (http://www.editionap.ca/) was off line most of the week so perhaps there were technical difficulties in putting up the online version. A spokesperson for the local Rockland office advised that the website and online edition are controlled by the company head office (La Compagnie d'édition André Paquette Inc) in Hawkesbury. interactive version of the paper has returned. It is interesting to note that the URL (web address) which appears on the front page of the paper (www.visionrockland.ca) as well as on the company masthead inside the paper, goes to a web page that states: "there is no Web site at this address". The Vision Newspaper is part of a chain of Eastern Ontario newspapers owned by La Compagnie d'édition André Paquette Inc. That company purchased the Vision about four to five years ago and according to their website (see graphic at lerft) their holdings include: The Vison (Clarence-Rockland), Le Carillon (Hawkesbury), The Tribune-Express (Hawkesbury), The Tribune-Express QC, L'Argenteuil, The/Le Journal (Cornwall), and Le Reflet (Embrun). They also published The News (www.pr-news.ca) but this paper seems to have stopped in October 2011 and a check of the website says: "This Account Has Been Suspended". For example, if you click on the Vision's link, you are presented with a number of news stories. Some of them come from the most recent paper edition, while others are available in the online version only. We found surfing through the website to be somewhat confusing if you were visiting the various links. Our opinion: stick to the main company web address, then click on the paper that you want to read. 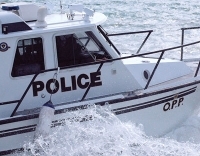 (Rockland, June 16, 2012) –The Ontario Provincial Police (OPP) have charged Guy Provost, 49, of Alfred-Plantagenet with two counts of dangerous operation of a water vessel causing bodily harm. Rockland OPP were called to a distress incident on Ottawa River on Saturday, June 16, around 10:00 p.m. to attended a boat collision just east of Rockland close to Dallaire Road. Two people who were passengers on a fishing boat had minor injuries after the boat collided with an object near the shore. A 24-year-old man was taken to the Ottawa Hospital’s Civic campus and a 49-year-old woman was taken to the Montfort Hospital. They both were treated for non life threatening injuries. The operator was located a short time later. Provost is to appear in the Ontario Court of Justice in L’Orignal on July 18. One week ago (Thursday, June 14), the Quebec Provincial Police (SQ) pulled a body from the Ottawa River near Plaisance, which is located down river from Rockland, across from Treadwell. A spokesperson for the Papineauville Sûreté du Québec (website) confirmed to the Canaan Connexion that a body has indeed been recovered, however he was unable to give any further details except to say that the body has been sent to the forensic labatory in Montreal for an autopsy examination and identification. As of Friday, this week, the investigation was ongoing and the Sûreté du Québec were not able to provide any additional information. We continue to follow this story. (Rockland, Thursday, June 14, 2012) By all accounts, the opening of the new Skatepark at Parc Simon was a roaring success and cause for celebration. Joël's parents Pierre and Lynne and sister Michèle were present to unveil the new Skatepark sign, as well as to participate in the official ribbon cutting ceremony, seen here in the photo. You can see more photos of the event on the local TVC22 Facebook page, and some video taken of the event is to be made available sometime next week. 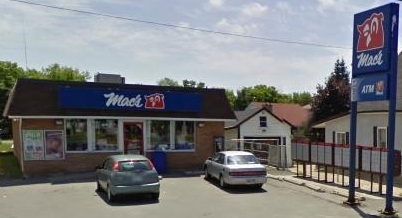 (Rockland, Thursday, June 7, 2012) ) The Ontario Provincial Police (OPP) Crime unit is investigating a robbery that took place at the Mac’s Milk store on Laurier street on Thursday, June 7. Around 07:00 a.m., a lone male entered the store and demanded cigarettes while showing a knife to the employee. He then fled the store with cigarettes and other merchandise. Investigators are looking for a white man in his late teens. He evidently used a vehicle however there was no description given. The investigation is ongoing and anyone with information is asked to contact Detective Stephane Noel at 613-443-4499 or at 1-888-310-1122. 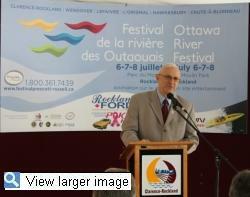 (Monday, June 4, 2012) Various representatives contributing to the Ottawa River Festival gathered at du Moulin Park, on the Ottawa River, to announce festival activities. 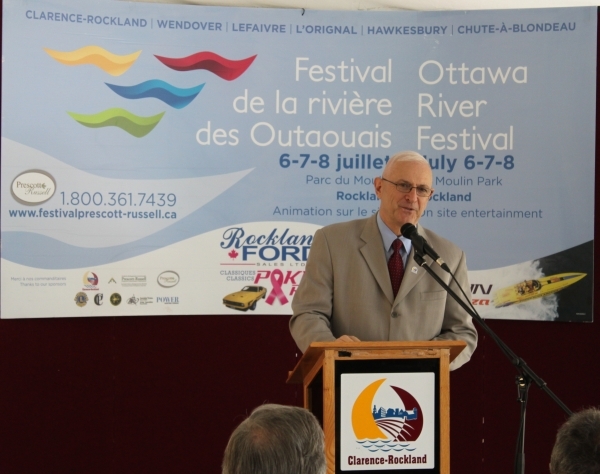 The City of Clarence-Rockland is organizing this year's Ottawa River Festival, to be held from July 6 to 8 at the du Moulin Park in Rockland as well as in several communities in the United Counties of Prescott and Russell, stretching from Rockland to Hawkesbury. For more information, click here. Joel Gauthier's family is remembering an active, engaged teenager who died a few weeks short of his 19th birthday. The Rockland native and avid cyclist was biking through Ottawa's Vincent Massey Park Friday when he was struck by lightning, passing away the next day. 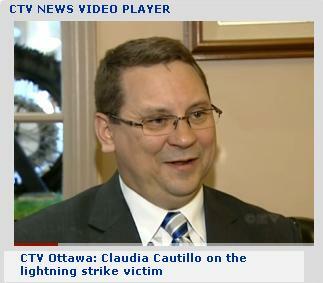 Click here for links to the CTV story and their video news report. You can then follow to our related stories, including links to his obituary and a video tribute. 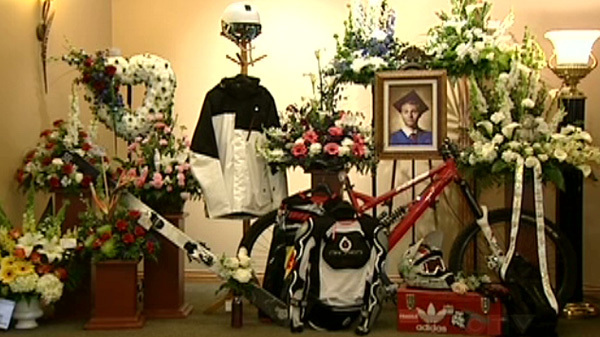 (Wednesday, May 30, 2012) On the eve of Joël Gauthier's funeral, Ottawa's CTV news channel ran a feature which they entitled: "Lightning victim remembered as caring and active". Click here to visit the CTV News story and pictures, then check out the CTV NEWS VIDEO PLAYER on the right-hand column to see the video report. Our initial coverage is shown below. arrived, they assisted paramedics with CPR and continued to assist until arrival at the hospital. The female was also transported to hospital by paramedics." Little did we realize until the next day that the victim of the lightning strike was Rockland's own, Joël Gauthier. He and a female friend had been cycling in Vincent Massey Park when Friday's lightning and rain blew through the capital. They stopped to put on their rain coats when lightning struck him and the tree they were standing under. He was in cardiac arrest when paramedics found him at the scene. A cyclist who was passing through performed cardiopulmonary resuscitation on him, the Ottawa fire department said, but he remained in the same condition when he arrived at the hospital. According to one report, he died in hospital Saturday morning from his injuries. Joël had a Facebo ok Page. Click here. "Joël, passionate for his mountain biking, alpine skiing and paintball games, you will always be in our hearts, R.I.P"
Funeral service will be held on Thursday May 31, at 11 a.m., at the Très-Sainte Trinité Church, 2178 Laurier, Rockland. You may express your condolences to the family at the Brunet Funeral Home, 2419 Laurier Street, Rockland, on Wednesday from 2-4 and 7-9 p.m. and Thursday from 9:30 a.m. afterwhich there will be a procession to the chcurch. To read Joël's obituary and to view a video tribute, click here. 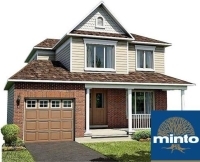 (Friday, April 20, 2012) The Ottawa Citizen is reporting that Minto, Ottawa’s leading home builder, is launching it’s first-ever project in Rockland's Morris Village. It is building some 30 singles and towns with terraces to follow in the fall. So you ask: "Is Rockland, once considered a backwater, poised to become the next Orléans or Barrhaven? 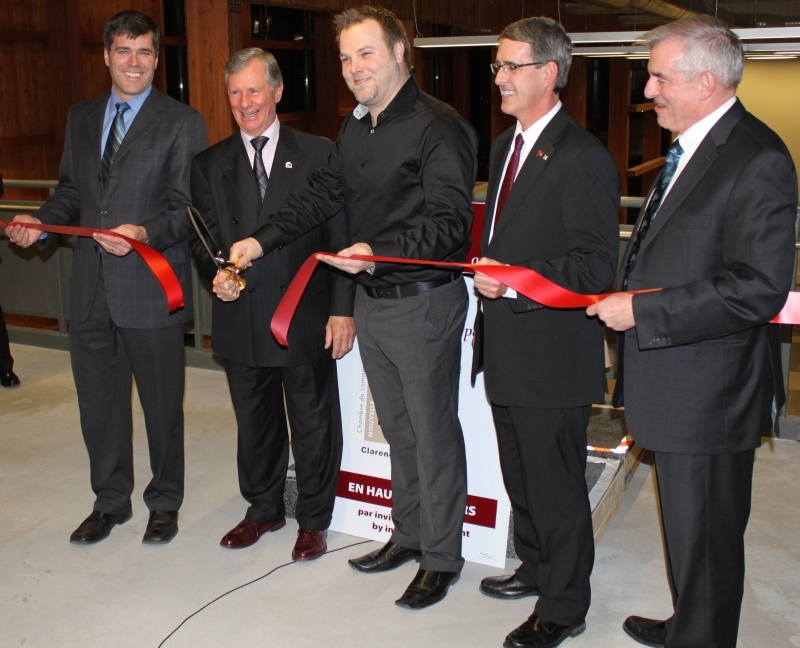 You can’t help but wonder when a big-time builder like Minto opens up shop in this community." The company will eventually build 256 homes in Morris Village, a master-planned community in the centre of town and the hub of Rockland’s residential development. Morris Village is about six years old, but smaller builders have predominated until now. (Monday, May 7, 2012, C-R Council meeting) Le Droit newspaper is reporting that the City of Clarence-Rockland has decided to impose a moratorium on the proposed expansion of its urban area, which currently divides the village residents and those of Rockland. "We decided to temporarily suspend the process associated with the expansion of the urban area. 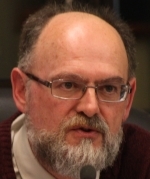 The purpose of the temporary halt is to clarify the confusion that currently seems to exist in regard to the implication that these decisions will have on the growth of the City of Clarence-Rockland, "said Pierre Tessier, C-R CAO. The City of Clarence-Rockland will present its master plan (to include the urban perameters) to the Ontario Municipal Municipal Board within three months. The City of Clarence-Rockland had presented a first draft of its zoning plan, which recommended a densification of the fast-growing Rockland sector and coveted by developers, but the province was opposed, urging the municipality to include more residential areas on the outer villages. Read the original story. 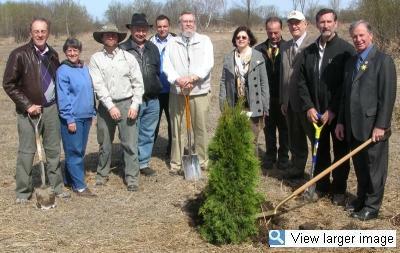 (Bourget, April 2012) - A partnership between Clarence-Rockland, South Nation Conservation, and Trees Ontario will result in a major tree planting project this spring. A mixture of 7,200 coniferous tree seedlings will be planted on a six hectare parcel of vacant land in Bourget. In the photo, from left to right : Mr Claude Vachon et Mrs Danièle Vinette (Environment Advisory Committee) Mr Mike Petrik (South Nation Conservation), Mr Guy Desjardins (Councillor Ward 6), Mr Ivan Burton (City of Clarence-Rockland), Mr Lawrence Levere (Chairperson South Nation Conservation), Mrs Diane Choinière (Councillor Ward 8), Mr Denis Longpré and Mr Pierre Tessier (City of Clarence-Rockland), Mr Wade Knight (Trees Ontario), Mr Marcel Guibord (Mayor, City of Clarence-Rockland). (Monday, April 30, 2012) The Watertown Daily News is reporting that a Rockland man has been charged with trespassing twice in approximately 20 minutes early Saturday, April 28 in Potsdam, New York. Andy Groulx, 24, was first charged at 2:01 a.m. after attempting to enter McDuff’s Tavern despite being asked to leave the bar, police said. He was charged again at 2:22 a.m. after again attempting to enter the bar, they said. He was released on appearance tickets following both arrests. Local Air Cadets out to collect donations on their annual "tag day"
(Rockland, Saturday, April 21, 2012) Local Air Cadets from 832 "Twillick" Squadron were out in force on Saturday, for their annual "tag day", to collect donations for their local meeting place, as well as for their upcoming summer activities. 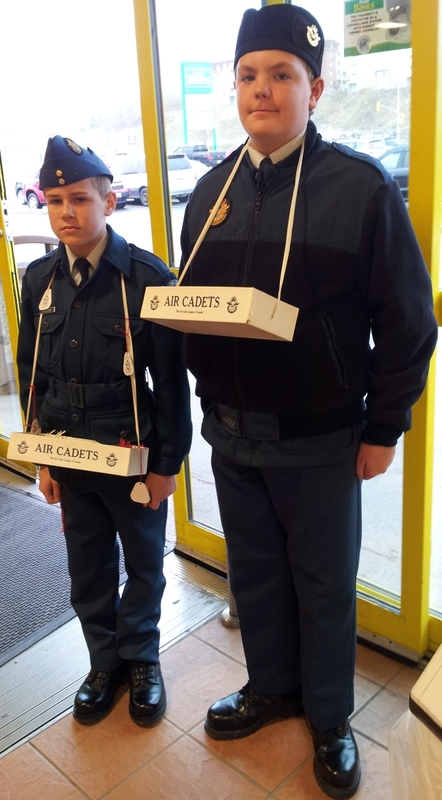 Covering the Food Basics Store were Leading Air Cadets Guillaume Laflamme and Gordie McMillan, two more polite, disciplined and knowledgeable young men you would ever want to meet. They are a credit to their 832 "Twillick Squadron, which meets on Parade Night, Mondays from 6:30 p.m. to 9:30 p.m. at Jean-Marc Lalonde Arena. Click here for more information. Accordin g to the Ottawa Citizen, Mireille Landry, a former local school board trustee, is accused in a Law Society of Upper Canada notice of hearing of lying to clients, failing to prepare them for a hearing and making a "unilateral" decision not to appeal an order against her clients forcing them to pay $32,500 in costs. She is also accused of failing to account for $3,000 paid to her by the same two clients, and of failing to reply to both a fellow lawyer and the Law Society of Upper Canada in a timely manner. Landry, who formerly went by the name Mireille Landry-Kennedy, came to law after a 20-year career in education, according to previous Law Society decisions. She ran unsuccessfully for federal parliament in 1984. A Citizen brief at the time said the then-35-year-old supply teacher "wants to put the brakes on the tax collectors of Revenue Canada, charging that their methods are unfair and illegal." Landry-Kennedy subsequently became a trustee for the newly created French-language school board in 1988 and later chaired the city's official languages committee, where she once recommended boycotting municipalities who declare themselves unilingually English or French. The Canaan Connexion has learned that there is a proposal before the Canadian Radio Television Telecommunications Commission for a new English-language FM radio service in Clarence-Rockland. Evanov Radio, also known as Dufferin Communications, has submitted an application to the CRTC. The proposed station would operate in the Adult Contemporary/Easy Listening music format and would be a first service to the Clarence-Rockland market. In a news release, the company stated: "We are very excited about this proposal and the potential opportunity to provide this distinct community with its own locally produced and targeted station." The new station would operate on frequency 92.5 MHz (channel 223A) with an effective radiated power of 300 watts (effective height of antenna above average terrain of 60 metres). Evanov Radio operates Jewel 98.5 in Ottawa and the Clarence-Rockland station would likely have a repeater tower to cover the area. The Commission will hold a hearing commencing on 7 June 2012 at 2 p.m. at the Commission Headquarters, 1 Promenade du Portage, Gatineau, Quebec. If anyone has any comments or concerns, the deadline for submission of interventions/comments/answers is 10 May 2012. Click here. 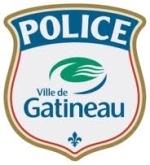 A 44-year-old Rockland resident, Gerard Joanisse, faces multiple charges after a crime spree in Gatineau last Wednesday night. It began at 8: 50 p.m. with a hit-and run collision on Gréber Boulevard in Hull. The suspect fled the scene, but was intercepted by a police officer. During the traffic stop, he allegedly assaulted the officer who pulled him over, then led Gatineau police in a high-speed chase. Joanisse faces numerous charges, including careless driving, driving under the influence, assaulting a police officer and leaving the scene of an accident. extraordinary people. (Rockland, Tuesday, April 10, 2012) Acting Chief Administative Officer (CAO) for Clarence-Rockland, Pierre Tessier, was appointed to the position, full-time, at Tuesday's council meeting. "On behalf of the Clarence-Rockland’s Municipal Council, employees and residents, I would like to congratulate Mr. Tessier for his appointment. Since his arrival at the City, Mr. Tessier quickly proved to have good leadership qualities with the city Council Members as with the employees and citizens”, said Marcel Guibord, Mayor of the City of Clarence-Rockland. Mr. Tessier has extensive municipal experience, having been Chief Administrative Officer of the Township of Russell from 2007 to 2009, City Manager for the City of Gloucester in the 1990s and Chief Administrative Officer of the Town of Hawkesbury from 1980 to 1984. Mr. Tessier was also Business Superintendent for the Conseil des écoles publiques de l’Est de l’Ontario from 2000 to 2005. Most recently, Mr. Tessier has served as Regional Manager (Western Region) for the Ministry of Economic Development and Trade of Ontario. Mr. Tessier has been working as interim Chief Administrative Officer for the City of Clarence-Rockland since October 2011. Reader comments: "What a sad story... they took the wrong direction because they could not see. 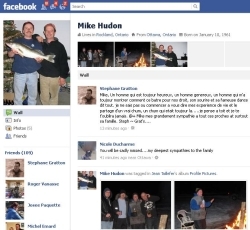 (Clarence Island, Friday, February 24, 2012) What was to be the end of an evening of ice fishing turned tragic for 50-year-old Rockland resident Mike Hudon. According to reports he and three friends were on the Ottawa River Friday night, near the Clarence Point Ferry. It appears that between the heavy snow fall and darkness, visibility was poor and the four fishers ended up in the wrong direction when leaving the site. The Clarence-Rockland fire department attempted a water rescue, but Friday’s snow storm made conditions difficult. The OPP resumed searching Saturday afternoon, facing poor ice conditions and murky water. In his preliminary report, C-R District Fire Chief Luc Chayer says that one ATV with three people on board, along with one snowmobile were ice fishing on the river when the ATV went through the ice. The snowmobilier was able to stop and rescue two people, however the third person (Hudon) did not surface. 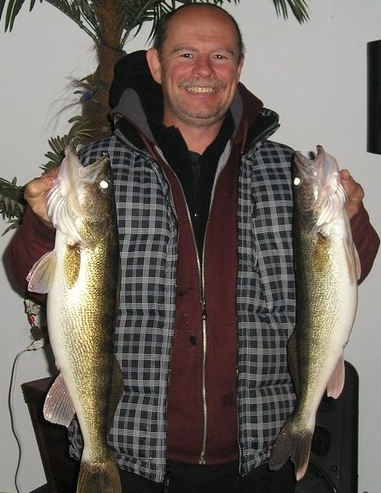 Hudon, the owner of Clarence Point Resort and an avid sportsman, had a Facebook page where he featured dozens of fishing-related photos and where he promoted local fishing activities. The last event was the Family Day ice fishing derby on February 18. A steady stream of condolences from friends and residents have been added to the Facebook page since the tragedy was reported through local news media. The unusual weather can create dangerous ice conditions and the Clarence-Rockland Fire Department wants to re-issue their recent warning about going on the river. Unfortunately many people do not heed the advice. On Saturday afternoon, the Canaan Connexion observed several people with snowmobiles and ATVs, ice fishing on the Ottawa River near the power lines on Highway 174. They were actually on patches of ice that were close to two open bodies of water. As a footnote, ironically the Clarence-Rockland Fire Department conducted ice water rescue training recently. Here is a training picture courtesy of the C-R Fire Department. (Canaan Road, Wednesday, February 15, 24) It would appear that someone has dumped 13 bags of potting soil along Canaan Road, near the Blue Jay and Forest Hill residential areas. 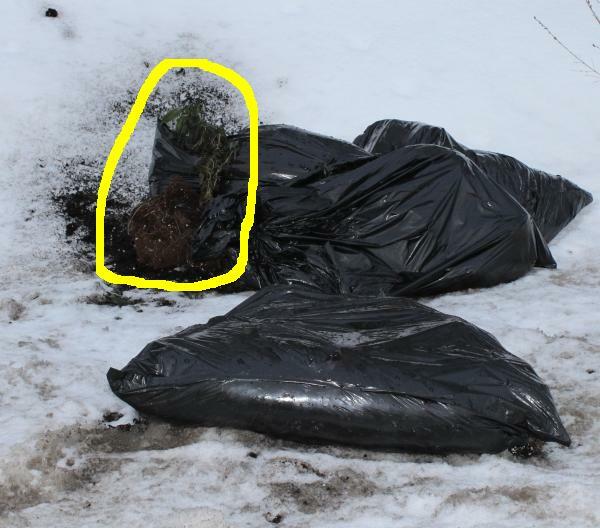 However upon closer examination, it looks like the bags are filled with the remnants of a small marijuana grow operation, probably dumped over night. A bit of a mystery as the two dump sites were about 1/4 mile (.4km) apart, and on opposite sides of Canaan Road. Because of the lateness of the day, the police were not called, but it will be interesting to see who investigates... as you know, Canaan Road is the border between the cities of Ottawa and Clarence-Rockland. 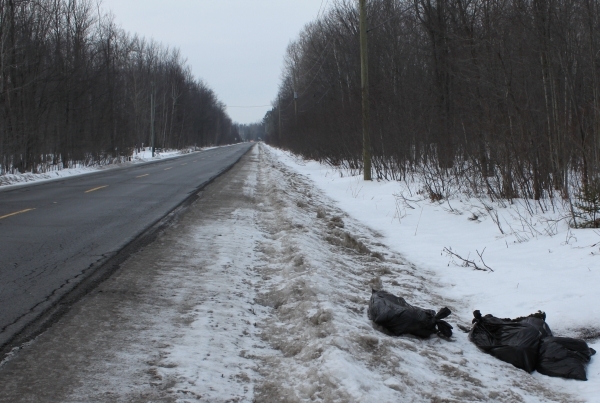 The nine bags were dumped on the Ottawa (Ottawa Police) side, and the four bags were dumped on the Clarence-Rockland (OPP) side. The bottom line number that residents are interested in is "What will the tax increase be?" Read 3.5%! That was the outcome after the presentation of the 2012 budget, enabley done by Clarence-Rockland Treasurer Chantal McLean-Leroux. 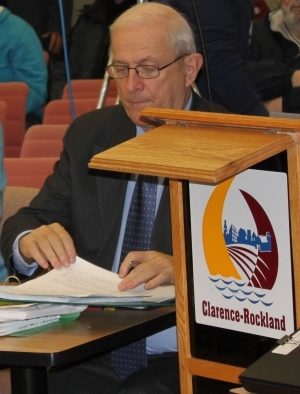 Clarence-Rockland elected officials will limit the increase in property taxes to 3.5% in 2012, according to the budget that was tabled last night before the city council. This equates to $22.87 increase in your tax bill for every $100,000 evaluation. The new budget adopted by council imposes lower increases than last year, when in 2011, the new politicians made a grand entrance into power by requiring taxpayers to pay a whopping 10 per cent tax increase. "I'm happy with the rate of 3.5 per cent," said Mayor Marcel Guibord. "Some people, including myself, were afraid that the increase would be greater than that. Where I am a little disappointed is that our budget this year does not allow us to move forward - in terms of infrastructure projects - because of our limited ability to borrow. But I console myself by saying it will be a year of study and long-term planning. Sometimes it takes a step back to make three forward." The water and sewer rates should be decided next month. Before popular pressure, the council decided to reopen talks on the price of monthly passes for CR Transpo. The increase of $29 is to come in April. The mayor proposed that the budget should be passed as expected next week, but deferred to a May decision on bus pass rates. Le Droit newspaper reported this story on Tuesday, January 24, 2012) The monthly pass bus in Clarence-Rockland will cost the equivalent of a dollar more per day to users in 2012. At the heart of budget discussions last night (January 23), officials decided to increase the cost of a one month transit increase by $29. This is an increase of over 13 per cent compared to the monthly rates of last year, which had then been increased by $38. You can read the (French) article here. (Rockland, January 18, 2012) The New Clarence- Rockland Chamber of Commerce was inagurated with a line up of special guests and an enthusiastic crowd of close to100 people on the upper deck of the Canadian International Hockey Academy arena last evening. You can listen to the remarks made by the special guests when Jacques Tessier runs the tape on his program "Informez-Vous" on TVC22. During his address, MP Pierre Lemieux offered encouragement to business owners "for the important work that you do" and stated that "you are the reason why new people are moving to" Clarence-Rockland and why long-term residents are investing. He added that his government introduced tax credits for small buisinesses in the 2011 federal budget and has set aside $18 million for businesses, and this month his government reduced the corporate tax rate to 15 per cent from 22 per cent allowing businesses to keep more of their money. He said that when you have a voice like a Chamber of Commerce, that is extremely important at the Federal level and "I would endourage you to talk to your fellow business owners to join the Chamber of Commerce... when you grow stronger you have a louder voice and you have more influence". Lemieux talked about reducing red tape for small business. Read how the government's red tape reduction commission plans to do this. Click here. new members themselves are Luc Filion and Joane Brunet. 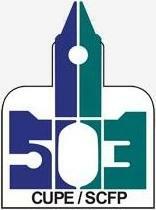 and is the talent behind the new Chamber logo seen in the picture. We hope to have more pictures and information soon. In the meantime if you would like to join the New Clarence-Rockland Chamber of Commerce, or if you would like more information, call: 613-761-1954 / 1-888-697-6646, or visit their website: ccclarencerockland.com. The New Chamber offices are located in the upper floor of the Canadian International Hockey Academy arena. Read our related story below. The Ottawa Citizen reported that two OPP officers in Russell County have run afoul of a dog that seems to have a taste for lawmen. The officers were bitten Jan. 5 by the same dog in separate incidents at the same residence in Clarence-Rockland. In each case, the injuries were minor. Police are reminding homeowners that they’re responsibile for the control of their dog and to make sure dogs are securely tied. Every time a person is bit by a dog, it is requested that the municipal by-law is contacted along as with the local Health Department. It is important to keep all medical records of the animal’s shots. A spokesperson for the City of Clarence-Rockland bylaw department advised the Canaan Connexion that that their office was advised of this event and proper correction measures were taken with the dog owner. 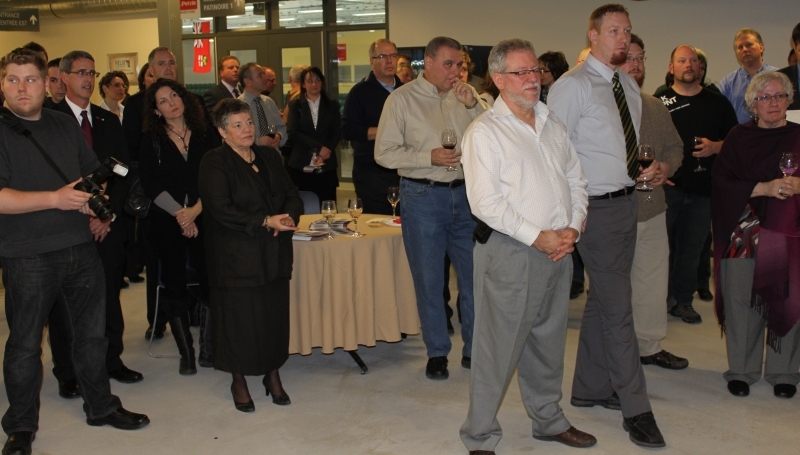 (Rockland, January 9, 2012) Did you know that the local Chamber of Commerce is being revived? You may have seen a sign on the northeast corner of Edwards and Laurier Streets recently, promoting the Clarence-Rockland New Chamber of Commerce (CRNCC). and, chances are if you are a member of the C-R business community you are alre ady aware that the CRNCC is being revived by a core group of locals headed by "interim" President Paul Paradis. You may also kn ow that they are holding an official "Wine and Cheese" opening on Wednesday, January 18 at their new location, in the Canadian International Hockey Academy facility, located at 8710 County Road 17, in Rockland. The occasion will give members and prospective members the opportunity to visit their office as well as to network with the City of Clarence-Rockland business community. "We have around 70 members so far,' says president Paradis," and we hope to bring that number up to 150." If you check out their new website http://ccclarencerockland.com you can get all of the latest information including: Directors, Business Directory, Membership Fees, and events. You can even sign up for their newsletter. If you are a local business, large or small, this may be your opportunity to support and promote Clarence-Rockland while at the same time furthering your own business. to represent the interests of small, medium and large businesses in the rural and urban sectors of the City of Clarence-Rockland. (Rockland, January 5, 2012)In this week's edition on page 14, the Vision Newspaper wrote a nice story on a "new local gourmet food store" called Les Gourmandises Caprines, operated by Marie-France Gagnon. However they failed to give the location and phone number of the establishment. We visited the store and spoke to Marie-France. 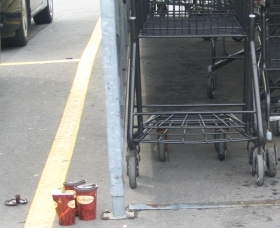 Her location is at 2026 Laurier Street, near the Subway restaurant. Phone: 613-419-3088. She opened the store on December 12 and it is located in the space vacated by My Dollar Store. Finch - January 3, 2012 - A one-window approach creating efficiencies for property owners seeking septic system permits is now operational in the South Nation River watershed. Effective January 3rd, residents living throughout much of the watershed will deal with South Nation Conservation staff regarding issuing of septic permits for new construction, renovation and legal searches, said authority General Manager Dennis O'Grady. SNC has conducted inspection of new septic bed installations in its jurisdiction for more than 12 years, O'Grady explained; issuing permits on behalf of area municipalities is a new task formerly undertaken by the Eastern Ontario Health Unit (EOHU). "We have a proven track record in dealing with septic systems to make sure they're environmentally sound and now we'll be working with the municipalities at their request on the permit component," O'Grady explained. SNC staff is currently collaborating with staff at the EOHU to ensure a smooth program transition; fees will remain the same and application forms - which are accepted beginning Jan. 3 - are available at www.nation.on.ca. Municipalities included in the new arrangement are Clarence-Rockland, East Hawkesbury, Alfred-Plantagenet, Casselman, Champlain, La Nation, Russell, North and South Stormont, North and South Dundas. Click here to view a map of the South Nation Watershed. As of January 1, 2012, the Eastern Ontario Health Unit (EOHU) is no longer administering Part VIII of the Building Code, dealing with the inspection of septic system installations. Privately owned sewage systems, including cesspools, septic tanks and leach fields must be installed and maintained according to the Ontario Building Code. Under this code, permits and inspections are required to install or alter a private sewage system. Last summer, the EOHU informed municipalities that starting in 2012, it will no longer be responsible for inspections of private sewage systems in the five Eastern Counties. For more information, please visit www.eohu.ca or contact your local municipality. Here is a list of contact telephone numbers for information about Part VIII sewage system services in your region. (Friday, December 30, 2011) A Bourget mother and daughter are dead following a three-vehicle crash on Champlain Road between Henri Road and Du Golf Road. Bertha Clairoux, 51, was pronounced dead at the scene and her 74-year-old mother, Doris Billings, was transported to hospital in critical condition where she died within two hours. OPP Const. Serge Gauthier said the two women were travelling in the same vehicle. The occupants of other vehicles appear not to have been injured, according to information gathered from the authorities who have not given details on the circumstances of the accident. The roads were icy in the area, around 6:30 p.m.
Paramedics from the Emergency Service of Prescott and Russell called on their counterparts in Ottawa to help the victims of the accident. According to Mike Latimer, spokesman for the Ottawa Paramedic, one of two people died instantly, while the other passed away in hospital. The accident forced the closure of Champlain Road for more than five hours. There was black ice mixed with slush on the road where the officer was. The road is usually very icy, said nearby resident Pierre Goddard, and usually only the part of it closest to Du Golf Road gets salted. When it “drops down below zero overnight sometimes you end up with a skating rink out here,” he said. Drivers will frequently spin out of control, he said. He pointed out one area where a woman had crashed in the ditch two days earlier. 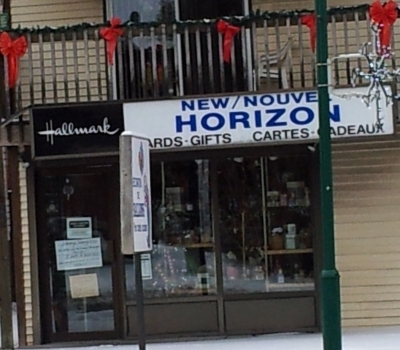 (Wednesday, December 21, 2011) A 14-year-old has been charged in connection with a robbery at the New Horizon gift shop on Laurier Street. He entered the store at 10:45 a.m. and demanded money from the owner, saying he had a weapon. He left when he was told there was no money. With a description of the suspect, the OPP were able to arrest the youth shortly after the incident. The accused is to appear in Provincial Youth Court in L’Orignal on Feb. 1. (Friday, December 23, 2011) - An agreement was reached two days before Christmas between the City of Clarence-Rockland and CUPE Local 503 representing full-time employees at the City. "This agreement represents a good foundation on which to build and develop good relations between the City and its employees," says Mr. Jean-Marc Bézaire, National Representative representing the group of employees. "We thank everyone who participated, worked long hours and contributed their best efforts to conclude this agreement. We look forward to working in partnership with representatives of the City to deliver quality public services to the benefit of all citizens in all the communities in the City Clarence-Rockland," added Mr. Bézaire. The respective parties will be recommending adoption of the agreement by their respective principals before the end of January 2012. The terms of the agreement remain confidential until such time that the respective parties have ratified. CUPE Local 503 represents all full-time employees of the City of Clarence-Rockland which includes : office personnel, early childhood educator in childcare centers, technologists, urban planners, building inspectors, by-law officers, mechanics, equipment operators in public works, roads, recreation and other public services. She was also a strong contender throughout the bee, tying for sixth place. The word means a disease which affects grapes. She gave the audience a cupped wave as she walked to the side of the stage to join her mother, Pam, who admits is usually more nervous than her youngest daughter. 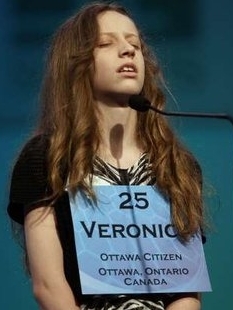 It’s the furthest Veronica has ever made it at the Scripps bee. She’s been to the competition three times. She is still qualified to return to the competition next year. 144 cyclists rolled out en mass to battle the roads and gravel of the second running of the Clarence –Rockland Classic. Click here for results and pictures. (Clarence Creek, Tuesday, April 12, 2011) At Clarence-Rockland Council's special budget meeting, TVC-22 general manager Robert Pilon made a presentation updating council members on the history and current status of the local cable outlet and requested financial assistance to upgrade technical equipment and to provide increased services. Pilon made a sometimes impassioned case to the council saying that the channel was a very important part of the city scape and that it was there to help the community. He spoke of the need to upgrade the services, including technical equipment, increased local coverage as well as the need to provide more English interpretation specifically for the "Public Meeting", the third of the three monthly meetings. He also advised how more people, some as far away as Florida, were using the Internet to watch council meetings, and of the time and cost required to upload the meetings onto his Internet service provider. Pilon also noted that while there are a lot of volunteers, most of them work behind the cameras and he wants to see more people "in front of" the cameras. This could include members of council. For example, he wants to create a Clarence-Rockland City web page, with separate sections for each council member, so they can use the medium for their own meeting announcements and news. Similar space could be developed to represent all of the various organizations in the area. As of now, the city has five pages of advertising that is interdispersed throughout the programming day. Pilon would also like to see the City use the channel to broadcast its Vox Populi announcements. On May 1, TVC-22 will be providing their TV-Bingo "live on the Internet". This will be held on a two week trial basis to see how it goes. Pilon suggested that as many as 5000 players could participate. The bingos generate income, which in turn could go to the City. One council member suggested that TVC-22 be given "seed money" to assist Pilon in his objectives. Councillor Guy Félio made a proposal to provide TVC-22 with enough funds to assist, and there was a suggestion that the new innovations be monitored with a view to returning to the Council with an update. The TVC-22 request was entered into the current budget list, and will be reviewed along with all budget items at a public meeting to be held in May. No, this is not an April Fool's joke coming out early. During the budget meetings last week, Community Services Director, Thérèse Lefaivre, recommended that J-M Lalonde Arena be closed in 2011, in view of the opening of the two-ice-surfaces, when the new hockey academy opens. It's not a done deal yet, as the City Council still has a way to go before the final 2011 Budget is cast. In the meantime, Councillor Raymond Serrurier weighs in on the active discussion along with several other residents, through the Citoyens de Clarence-Rockland Citizens Facebook website. "As far as the JMLalonde Arena is concerned : I understand citizens' worries but be assured that after the budget is adopted, we will study different possibilities for the use of this arena. This process may take a few months, but we'll get there. With the 2 rinks available at the Academy, it is estimated that ice time for groups such as minor hockey, figure skating and adult hockey leagues should increase by about 50 %. For now, the JMLalonde Arena is not scheduled to open in September but who knows, maybe down the road it will be transformed into a curling club or a soccer club ? All possibilities will be studied over the next months." There appear to be good arguments on both sides. "The Academy expects to grow its program substantially in the coming years. I worry that we are making a short-sighted decision. We do not have nearly enough ice time now. I hope that the study will include the eventual useage level." "I think the city is stuck at this point. The JML arena is on its last miles mechanically. The structure is still up to standards but the ice making and maintenance equipment are on life support and have been this way for years. The compressors and refrigeration systems are ticking time bombs. I think this is why the city is forced to make a bold move and hope the facilities at the new complex will suffice for now. I do not know the $$$ of it all, but I am sure that re-fitting the JML for curling or other options is likely much cheaper than re-outfitting the building for an ice hockey rink!" 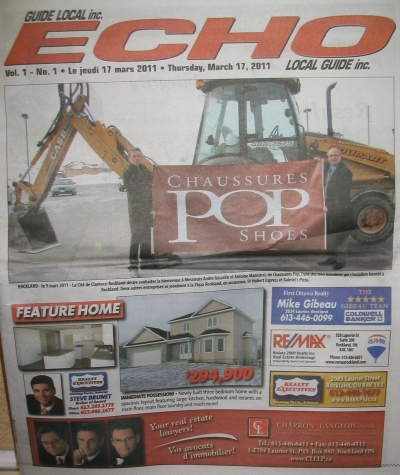 Earlier this month a local advertising paper, "ECHO Local Guide inc." came out as usual. We say as usual because it has been appearing in our local mailboxes for several years. However this time, there was something distictly different about it. It carried several stories, a letter to the editor, a congratulatory piece welcoming the new bi-weekly to Rockland, a well as a masthead. It seems that Rockland has a new publication. For those of you not familiar with journalism talk, the masthead in a newspaper or magazine, is the information section that carries the name of the publication along with all of the principals involved - the editor, advertising and design staff, journalists, etc. You can also find a masthead in the local Vision. Laurin was at one time on the staff of the Vision. He struck out on his own and started with a single 8" by 10" advertising flyer, eventually building it into a four-page flyer, and then some months ago, a full tabloid size newsprint paper. With this last effort however, it appears that Laurin has started up a second newspaper. A few months ago we could have said a third newspaper, with the presence of the Muskateer, however that rag was laid to rest after the municipal elelction. At this point, the Echo is still primarily a vehicle for advertising with its editorial content being supplemented with a few press releases. 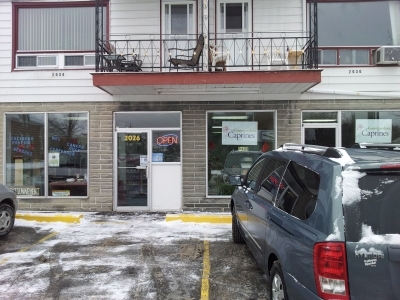 (Rockland - Wednesday, March 23, 2011) We happened upon this website today, www.olx.ca. It appears that the Sears store in Rockland is moving. When contacted by the Canaan Connexion, a store employee was soft on details, saying that the store was moving to the Royal Plaza mall. According to a mall store manager, Sears will be taking over the space vacated by Boutik Imagine, between Aqualife and Café Laurier. A later call to Sears manager Suzanne Desjardins, of Decor Luminaire (adjacent to Sears), confirmed that Decor was up for sale and that Sears would be moving, however Desjardins would not offer any further information and said that we should call the Remax agent who is looking after the property. We have been watching all of these "big box stores" going up along the drag strip known as Highway 17, and now another three franchises are set to roost in the area (see below). But what about the little guys? Here is one that I am looking forward to seeing: Joël's Coffee - Café de Joël. I'm no real coffee drinker, and no connoisseur, but I haven't found a brew around here that I can say tickles my palate, so I am looking forward to this new venture, opening on Chamberland Street where Boutik Imagine once was. From his website: "Your local coffee roaster. Joël Béland, was born in Rockland, ON, east of Ottawa. He now lives on the family farm in Clarence Creek. In addition to coffee Joël produces vegetables, web sites, and two children (so far). C’est beau la vie!" 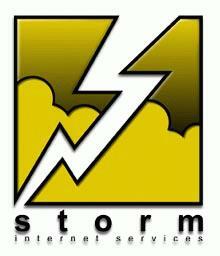 We would like to give some coverage to the smaller businesses in our area. If you know of one that you would like to introduce to the community, send us an email, and tell us why we should know about them. (Rockland, Wednesday, March 9th, 2011) The City of Clarence-Rockland is about to welcome three retail and restaurant businesses soon. St-Hubert Express, Pop Shoes and Gabriel's Pizza have all chosen Plaza Rockland as a place of choice joining the existing Buster's, Staples, A & W, and TSC. “This is great news for the community. It demonstrates that the City continues its work in attracting new investors while meeting the needs of its citizens,”says Clarence-Rockland mayor Marcel Guibord. St-Hubert Express, with its modern and fast concept will be a beneficial addition to the municipality’s economic development. The St-Hubert banner is one of the best known in the area and it will definitely encourage tourists to stop and visit our community, says a press release. As for Pop Shoes, this store will offer a new place to buy shoes for the whole family. Finally, Gabriel’s Pizza reputation is well established in the National Capital Region. Known in the community for its quality and community involvement, Gabriel’s Pizza concludes this winning trio that will soon open at Plaza Rockland. The Vision Newspaper is reporting that a St-Hubert Restaurant is coming to Rockland. The prospect of the famous St-Hubert rooster coming to Clarence-Rockland may soon be a reality. The company is actively looking to find a franchisee, even if the purchase for property is not yet settled. 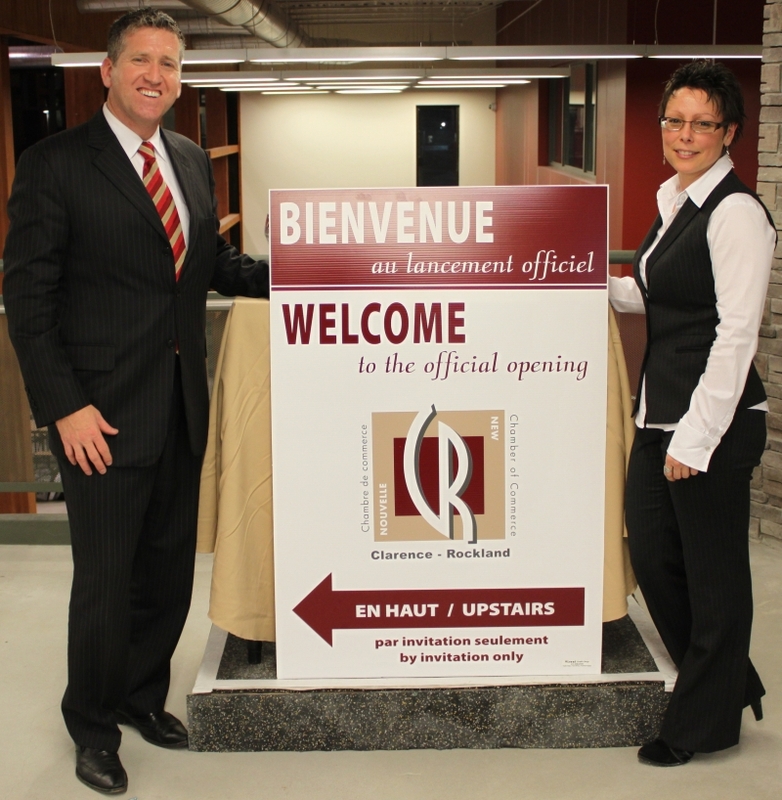 "Yes, there will be a restaurant in Rockland St-Hubert in 2011," said St-Hubert communications manager Lyne Chayer. "We are currently looking for a franchise partner in the region." Plans are to open an express style restaurant with a dining room of 96 seats (no table service) and a drive through service. The restaurant, will open from 11:00 a.m. to 11:00 p.m. and will create 40 to 50 jobs. "The City of Clarence-Rockland is pleased to host a food giant like St-Hubert," said Clarence-Rockland mayor Marcel Guibord. "It's great news for a community that has been asking for this type of a business for a long time. This company has great appeal so the city merchants will also benefit," . The company has launched a regional advertising campaign to find a franchisee who will meet the its criteria. St-Hubert wants to find an investor who lives in the community, who is able to come up with the money and who has experience in managing a restaurant operation. "We are looking for a candidate who will be personally involved in the restaurant," says Chayer. The company is currently considering two options for the Rockland outlet. Either taking the the restaurant under its wing and passing it into the hands of a franchisee, or it leaving it to a franchisee to run the restaurant, if a serious candidate appears before the opening. Over the years, St-Hubert ( a Quebec-based company) has earned an enviable reputation for its mouth-watering rotisserie chicken. 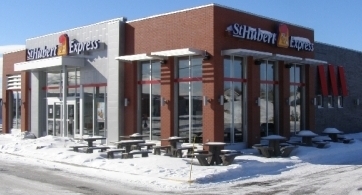 Founded in 1951, St-Hubert operates a chain of restaurants in Quebec, and elsewhere in Canada. Their website says: "We strive to satisfy our customers by offering them a unique experience built on products of exceptional quality, a warm welcome and attentive service". On September 25, 2011, they will be celebrating their 60th anniversary. Hopefully Rockland will get to celebrate with them. Rockland's cable television channel TV22C will soon be airing a new interviewing style program with host Jacques Tessier. 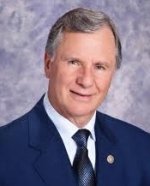 In an exclusive story to the Canaan Connexion we learned that the all-French feature will be kicking off the first show with an interview with former Rockland mayor, Richard Lalonde. There may be some surprises coming from the interview. Tessier said that the program will be similar to the English program hosted by Laurie Marion, Laurie Wants to Know and although there may be similarities, the new show, called Informez-Vous, will take on a different identity. Tessier was a candidate in the recent municipal election, coming in second to André Henrie in Ward 2. He is seen center in the above picture along with Laurie Marion on the left and TV22C general manager Robert Pilon. They were editing the digital recording of the first program. 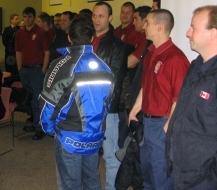 (Rockland - January 10, 2011) Three Clarence-Rockland firefighters were given special recognition for their years of service to the community in a special ceremony at the January City Council meeting. 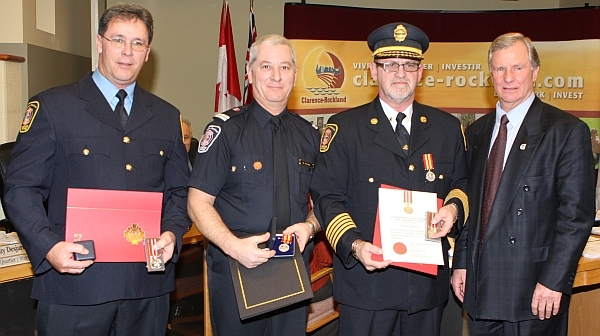 Mayor Marcel Guibord presented them with long service medals on behalf of the Ontario Fire Marshall. They were: Marcel Pilon, 20 years; Rhéal Charbonneau, 25 years; and Pierre Sabourin, 25 years. A large contingent from the Clarence-Rockland Fire Department filled the council chambers to honour and support their brothers in the service. Welcome to TVC22's new website! We have worked hard to provide you with a streamlined and new look to give you 24-7 to what matters the most in your community of Clarence-Rockland. Keep up to date with our programming and get insights on what's coming up. Interact with TVC22 on Facebook and let us know what you think about our new site. (Editor note: TVC22 now has a limited number of City Council meetings on their site, with plans to increase the content if the City of Clarence-Rockland approves the cost. 1) Click on the "Video Portal" link at the top of the page; 2) then under "Video Menu", click on "Town Council Regular". You will see the regular meetings going back to October 2010.). (Rockland - November 239, 2010) Avoiding a potential conflict of interest, mayor-elect Marcel Guibord has advised in a brief press release that he is selling his interests in LLG Development. 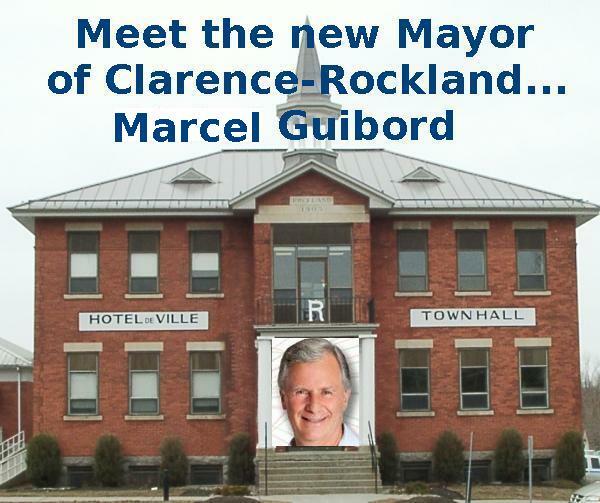 The statement says "to demonstrate to his constituents that he values nothing less than absolute integrity and transparency Marcel Guibord announces that he has sold all the shares he held in LLG Development Inc, before he takes office as the new mayor of the City of Clarence-Rockland. During the last municipal election campaign in Clarence-Rockland, some people stated or inferred that his interest in becoming mayor were linked to his financial interests as a minority stakeholder in a piece of land that belonged to LLG Development Inc.
Guibord said: "Selling all my shares in the company clearly demonstrate to the population that my only interest in becoming mayor was and remains, the well being of our community and its citizens." For election coverage results, click here. On every T.V. screen in the Knights of Columbus hall, the Habs were having a hard time with the Coyotes as Phoenix took the lead over Montréal in the second period of their Monday night game. Then the big screen at the end of the room rolled up and the crowd of several dozen people fell silent as they listened for the words they’d been waiting to hear all night. A smiling and successful Guibord took his place at the podium after spending a good 10 or more minutes shaking hands and hugging well-wishers, supporters, friends and family. 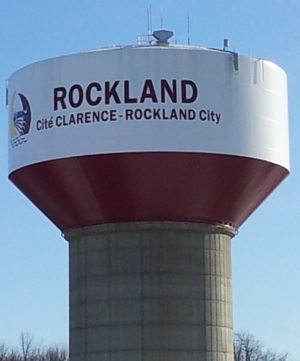 “For a long while now, for a very long while, we have been dreaming of change for Clarence-Rockland,” he told the crowd. “You have demonstrated clearly that you want a city that serves its citizens, and not the other way around. For full results of the Clarence-Rockland civic election click here. 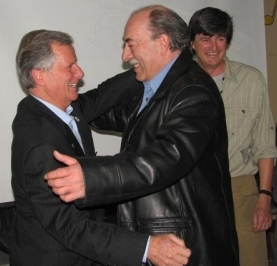 "Radio Canada seems to allege Mayor Guiboard has lied"